Yamaha has confirmed the launch in Indonesia 250 cc sport for 2014, and now the focus of the rumor is put on the Italian Aprilia. Yamaha Indonesia has confirmed it is working on a sporty 250 cc liquid-cooled single-cylinder engine. The new bike would leave the market in 2014 to compete with the Kawasaki Ninja 300 or the Honda CBR250R, and of course with the future KTM RC200. However, the chances that a motorcycle of this kind reaches European markets are vague, for the reality that lives here in the bike market or simply branding. By contrast, the growth of small sports in Asian countries like Indonesia and especially India is giving wings to many brands willing to cash in on a market that seems unstoppable. In KTM know well thanks to the Duke 200. A few weeks ago Suzuki and revealed a second variant of its Inazuma 250 with semi-fairing. Hyosung also working on new mounts quart, and even in Asian media confirmed Triumph 250cc twin cylinder for this year. 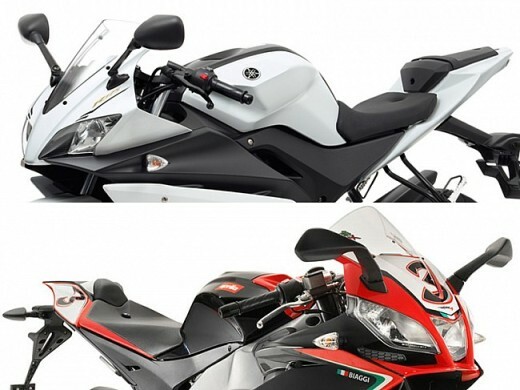 Aprilia is another brand that could enter the battle of the quarter-liter sports, or least that is the direction in which are the foci of the rumor mill. The Italian firm is certainly not foreign to this displacement and in this case if it will be expected that the motorcycle was available from the start in the European markets. However, it would be an RS4 250, because nobody in their right mind can think of a repeat of the 2-stroke RS250. Although Aprilia does not sell directly in India that is the type of product that it expects the Asian market: bikes with performance, but affordable and efficient. For a long time, the Kawasaki Ninja 250 was the only motorcycle available to deal with the Pulsars, Apaches and Hunks, a favorite among avid Indians curves. Then came the Honda CBR250R, which offered a slightly more expensive tourer and fit perfectly in the market. Hyosung then tried with the Comet GT 250R and Bajaj-KTM again rewrote the rules with the Duke 200, which is reaping a huge success. The KTM RC200 will be the second part of the story.